Attention all DSA members: We want your knowledge! Now is your chance to share what you know with fellow design members. We're looking for interesting articles and information to include in our upcoming newsletters sent out to 18,000 designers and showrooms nationwide. Think of the potential! Emerging trends, art, profiles of famous designers, tips for doing business in the design industry - all would make fantastic articles. Kitchen design, furniture design, history, architecture, fashion for designers, fabric - you name it! If it's creative and you believe other interior designers would find it useful and interesting, please share! Not sure of your writing skills? Get your story down and send it to us. We'll help you polish it and get it ready for e-publication via our bi-monthly newsletter. We'll even locate art and graphics to help spice it up for you. We'll be preparing soon for our May/June edition, so put those thinking caps on, and share some of your expert knowledge with the rest of us. Please send all articles for consideration to support@dsasociety.org, attention editorial. "The DSA certification course far exceeded my expectations. The textbook provided a strong comprehensive background to the field and paired nicely with the coursework and assignments that focused largely on practical application. I was both inspired and challenged by the readings and assignments--they helped me understand both the subjective and objective rationale behind various design articles I have been reading for years. I also found I was able to quickly apply what I learned directly to design challenges I had been stumped by for some time. By the end of the course I felt I had a sufficient toolkit and the confidence to apply what I learned to various clients' needs. Having already been to graduate school in an unrelated field and as the mother of two small children I was very appreciative to have found DSA as a viable option to begin the practice of interior design." We are pleased to announce that our "New Year, New You Campaign" that was launched to kick off the year has been hugely successful! The campaign was promoted through our members, an email campaign, and the newsletter. We were thrilled to experience the largest boost in new members since our initial launch four years ago. Our phones were ringing off the hook as we accepted new members who were eager to join our growing community of designers who are nationally known as a society of talented, educated and supportive individuals. Our belief in strength in numbers is reaching new heights, and we do not plan on stopping anytime soon. Your membership will only increase in value as you learn from, teach and support our newest members! or call toll free 1.866.311.1372 ext; "0" and we will take care of it for you. Have you ever thought about building your credentials as a Residential Interior Designer? Do you have a talented assistant who you would like to see excel with additional credentials? Our extensive, informative course is beneficial to both experienced, talented professionals, who are interested in sharpening their designing skills, and to up and coming designers fresh on the design scene, who desire a comprehensive overview of the necessary designer survival skills. Through this comprehensive course, you will cover concepts on furniture history, architectural styles, concept of balance in design, professional presentation boards, color theory, contracts, universal design, fabrics, practical application, and so many more topics necessary to working in the field. If you have questions or are interested in the course for yourself or someone you know, please do not hesitate to contact us! Special pricing for "March Madness." Colleges and universities across the nation are endorsing the R.I.D.E course by bringing it into the classroom as they teach designers the ins and outs of "Residential Interior Design" with our DSA course. Up and coming, young designers will be introduced to our society through the teaching of R.I.D.E., which will benefit our society as our membership continues to grow. Are "YOU" up for the challenge? We are pleased to announce that DSA and Design Shuffle are joining together to host the first-ever Residential Interior Design "Best Before and After Contest!" 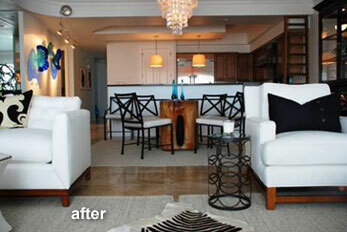 The purpose of the competition is to share new design ideas and inspiration through before and after photographs. Consumers and fellow designers will vote on their favorites; remember to encourage your fellow designers to vote in the contest! Login to upload your before and after photographs to your portfolio. Immediately following, please email: support@dsasociety.org to let us know that your photos are up and ready to view. Additionally, you may submit a brief 30 word description of your project. Don't forget to include your name and contact information in the email. Prizes will be announced in the near future. Introducing our newest DSA "Loyalty Ambassador"
A Cleveland, Ohio native, is a mother, wife and artist. From the time she was five years old, she started drawing and competing in drawing contests all over the state of Ohio. When she tried out for a spot at the Cleveland School of the Arts, she was accepted immediately to begin her training in visual arts. Competing with very talented schoolmates in high school was a breeze and earned her many awards, including an Honorable Mention in the Governor's Art Competition and 3rd place in the Scholastic Arts Competition. Her piece was purchased by University Hospitals of Cleveland and is currently still on display in the Rainbow Babies and Children's hospital wing. When faced with the dilemma of choosing her college major, Tamara took a brief hiatus to work for an art supply store and with the Cleveland Museum of Art. The decision for Graphic arts was made, and changed shortly after to Interior Design based on her love for interiors and architecture. Tamara has worked on numerous designs, with a focus on Kitchens, Baths and Organization, after working for Home Depot and Lowe's. Thank you for your membership with Designer Society of America! DSA recently incorporated a new system for your official membership cards. After you log into your account, please check out the left hand column and under the last option you will find that your membership card is available for print. You asked, and we delivered! Our previous cards were beautiful; however, the design made it visually difficult for members to fax copies to vendors for trade discounts. Not anymore! Please don't forget to log in and print your new cards. Free online portfolio with your membership. Also, don't forget to sign up for the Feng Shui certification. Early bird sign up will save you $300! This is a once in a lifetime opportunity, and it gets even better! For all of you snowbirds, the certification class will be held in sunny Florida. There are limited seats available. Please call (229) 888-2849 with any questions. As always, if there is anything we can do to support you or if have any questions that we can help answer, please call us at 1(866) 311-1372, ext. "0". We hope you are ready for a Fantastic Year with DSA! The American Society of Interior Designers (ASID) has launched a full-scale assault on the interior design industry nationwide. In addition, designers can attach links to floor plans from Icovia to Studio Designer so their clients can link directly to the floor plan from proposals. For over 30 years, ASID has aggressively lobbied for legislation that would effectively put the majority of hard-working designers out of business or prevent them from calling themselves "interior designers" unless they possess certain arbitrary credentialsâ€”credentials that just happen to be identical to those needed to become a "professional" member of ASID. They claim interior design should be licensed to protect the public's health and safetyâ€”yet there is not a shred of evidence to corroborate this claim. In reality, this small group of industry insiders is pushing for regulation in order to eliminate much of their competition. 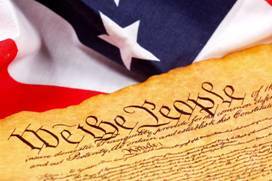 What is at stake is one of the most basic freedoms afforded to U.S. citizens the right to earn an honest living. This is an outrageous assault on economic liberty, and their efforts to cartelize the interior design industry must be stopped. And this year, they are leaving no stone unturned in their efforts to gain control. At their Annual Legislation Symposium in Colorado last October, ASID leadership encouraged the attendees to introduce bills in all 50 states. And that's exactly what they're doing. Since January 1st, 18 bills which would impact interior designers are already in Committee or pre-filed - never have we seen so many so early. That's where I come in. 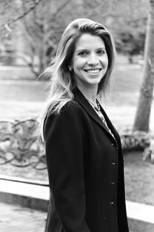 My name is Patti Morrow, and I'm the director of the Interior Design Protection Council. IDPC is the nation's leading advocacy group protecting the rights and livelihoods of all in the interior design community. IDPC is the spearhead of the interior design "Freedom Movement," a collaboration of 28 national trade and stakeholder associations who work together across the country to protect design freedom. We are on the frontlines and we are winning, as you can see from our proven track record of success. Since 2006, we have successfully defeated over 100 bills in 21 states that would have expanded or enacted new protectionist, anti-competitive interior design regulations that would have put interior designers and industry allies out of work. Indeed, ASID's efforts have nothing to do with the public health and safety. To the contrary, 12 government agencies have reviewed the issue and all concluded that interior design regulation would provide no additional protection to consumers beyond measures already in place. ASID simply wants to protect themselves from competition, by passing protectionist laws that only benefit themselves. They believe that consumers lack the ability to make informed choices about who they retain for design services. "Nor should this court embrace the paternalistic notion that the average citizen is incapable of choosing a competent interior designer without the state's help. The economic liberty of contract remains a protected right in Alabama, especially in a field like interior design that involves expressive activity." It is critical that IDPC remain on the frontlines in the fight against efforts to cartelize the industry. But to do so, we need your help. Every day, ASID is pushing for new legislation that would put more and more interior designers out of work. They are well-funded by their small group of industry insiders, desperate to wall-out competition. Meanwhile, IDPC relies on the voluntary contributions of independent interior designers. It is the not the government's job to protect one group of established industry-insiders from others who wish to compete. Would you please consider supporting the Interior Design Protection Council? For just $29 a year, you will become a member of the Interior Design Protection Council, and receive information about legislative activities across the country, and in your own state -- exclusive updates, bill analysis, legislator contact information, talking points, sample letters, and free one-on-one coaching with me if you wish to testify in opposition to a bill. The Interior Design Protection Council can't keep the interior design profession free without your support. Please consider joining today so we can continue to achieve incredible results. We would like to take this opportunity to introduce EWI Design Services, a complete Interior Design company for residential, commercial hospitality and the first to introduce green design concepts. We are a forty year old company that has designed homes in more than thirty states, as well as several countries. We have come up with a truly unique and creative product offering to the world of Interior Design. We are making our extensive national and international library available to you as an "OUTSOURCE LIBRARY" to help you improve project timelines, making it possible for your company to complete more projects in less time. We are offering our library of manufacturers, craftsmen, artists, workrooms, paint selections, wallpapers, tiles, floors, fabrics, etc., as an "OUTSOURCE" to you for $50.00 per hour (1 hr min), providing design professionals and specifiers access to thousands of companies worldwide from surfaces to lighting to seating to case goods to kitchen and bath products, etc. We add products and sources everyday to our library. Let us know what it is that you need and we will find it for you. We look forward to hearing back from you soon, to begin a mutually beneficial business relationship that promises to be rewarding and financially successful to one and all. 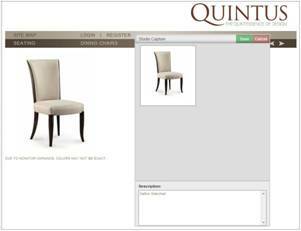 Studio Capture is a tool that allows you to capture images and descriptions from manufacturer websites. As you search websites to find products for your design projects, you can open Studio Capture and select the images and descriptions. The images and descriptions from the manufacturer website are added to your client's design project. Professional proposals, orders, and invoices with images are as easy as a click of mouse. Learn more about web tools for interior design professionals at: www.StudioWebware.com. Elizabeth Palumbo's travels to China were a cultural excursion and the inspiration behind opening her store, Pan Zhai, in 2002, where she sells Chinese antiques, furniture, exquisite reproductions and unique Asian home dÃ©cor. The detail and intricacy of the pieces, along with the fascination of the thousands of years old Chinese culture, is captivating to customers as history is told through each piece Elizabeth tells. The simplicity of Chinese decor harmonizes well with other styles. "Furniture, lamps, artwork, decorative accents...we have pieces that fit just about any decor or architectural design, and new pieces arrive regularly" she says. You can find Elizabeth on hand to help, as she measures pieces, takes pictures and uses her unique design eye to help customers find just the right piece. Panzhai ships nationwide. It's no wonder the store has gained a loyal following of home owners, designers and decorators. Call or visit Elizabeth to find out more about her current inventory. Dozens and dozens of companies offer commercial textiles. Some even have their own mill and will proudly tell you all about it. Most partner with mills around the world and will tell you nothing about where their fabrics come from. One fabric might come from North Carolina and the next from halfway around the world. Perhaps most importantly, you don't know what's in the fabric. 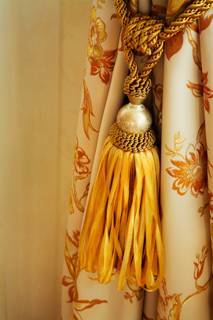 Of course you'll know that its cotton, or polyester, but there are also dyes and stain guards. How might these impact your client? If you are interested in more than color, pattern and price, what do you do? There are three standards that might help: GreenGuard, Oeko-Tex and Cradle-to-Cradle. GreenGuard and Oeko-Tex certify products with regard to their volatile organic compounds (VOCs), and if concentrated enough can cause upper respiratory irritation or aggravate asthma. 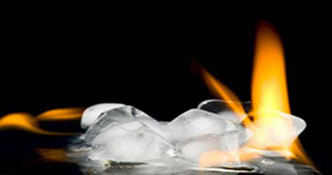 Oeko-Tex is more stringent because it considers a longer list of chemicals. The sole concern of these two standards is to protect people's health. Cradle-to-Cradle has a broader view. A life cycle assessment is conducted on the product with regard to people and the environment as the environmental impact of fabrication is inspected step by step. Considerations for the fabrics after-life is thought of as well. Does it decompose back into soil? Or can it be re-used in a new product? It is the most stringent of the three standards. Making sustainable choices requires looking beyond price. This is where the "triple bottom line" enters the picture: price, environmental impact, social equity. Right now it is not possible to evaluate commercial textiles on all three criteria. Price is easy. The environment is addressed by all the standards mentioned above but to different degrees. GreenGuard and Oeko-Tex address the environment only in terms of indoor air quality where the product is used. Cradle-to-Cradle goes further with a life cycle assessment. The social aspect of the triple bottom line has to do with how workers are treated. None of the standards mentioned above address this. When you don't know where a fabric is made, it is impossible to even guess. Right now, two out of three is the best you can do. 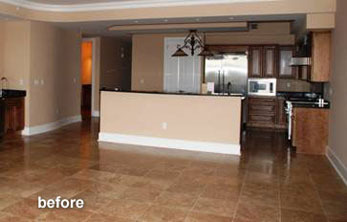 I have just completed the five-day Interior Redesign seminar in Smyrna, TN, February 9-13, 2011, facilitated by Mary Dennis. Mary is an incredible, dedicated, high-energy teacher, who works one-on-one with her students. 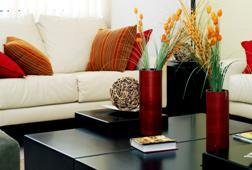 Mary's course blended the principles of Feng Shui, Green Design and Home Staging. We were given the tools to bring harmony and balance to homes and offices. Mary's motto is, "Change Your Space, Change Your Life." The course was intense but extremely fulfilling. I highly recommend Mary Dennis and her School of Graceful Lifestyles! 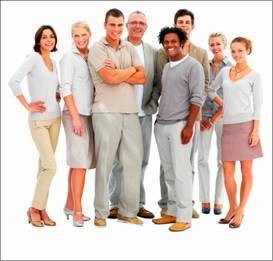 You will be energized with new knowledge that can be applied to your current professional skills. Find out more about upcoming seminars. Call 229 888-2459 ext. "0" and ask for Cindy.